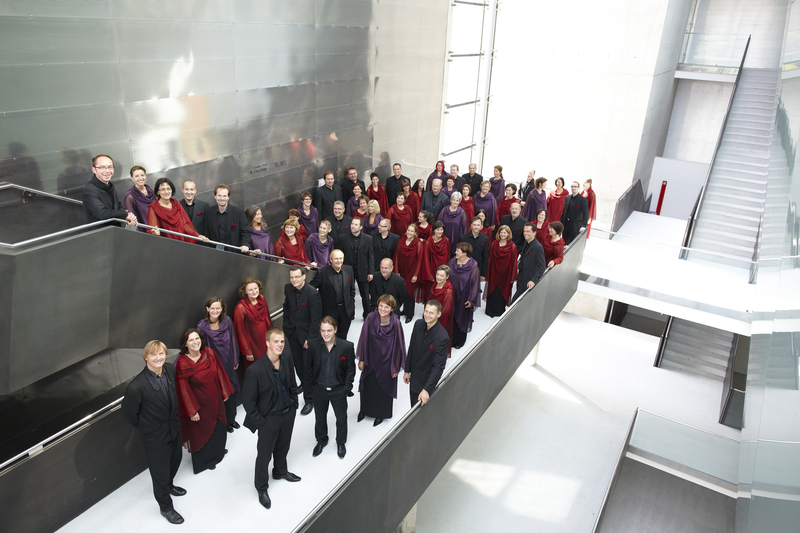 The choir Ad Libitum of St. Valentin, Lower Austria, founded by Heinz Ferlesch in 1993, has developed into one of the leading ensembles of its kind in the Austrian world of music. The musical spectrum ranges from filigree a capella compositions to big works for choir and orchestra, from the baroque age to the present times. Some of the choir’s repertory includes the choral works by Schütz, Bruckner, Poulenc, Taverner, Martin and Pärt, as well as Bach’s “St. John Passion” and “St. Matthew Passion”, Handel’s “Messiah” and Mendelssohn’s “Paulus” and “Elias”, Bruckner’s “Mass in E minor”, Verdi’s “Requiem” and Brahms’ “A German Requiem”. The choir dedicates itself mostly to a capella compositions, focusing on sophisticated works of the 19th, 20th and 21st centuries, where the ensemble can unfold its vocalists’ potential and distinctive body of sound. Ad Libitum is regularly invited to perform at the Brucknerhaus Linz, Festspielhaus St. Pölten, Tiroler Festspiele Erl, in addition to festivals such as Linzer Brucknerfest, St. Pauler Kultursommer, Passauer Konzertwinter, Europäischer Kultursommer Aspach and Carinthischer Sommer. Meanwhile the choir has solidified its international reputation through invitations to perform at Internationale Händelfestspiele Halle/Saale, Europäische Festwochen Passau and Konzertreihe „Musik und Kirche“ in South Tyrol. The highly motivated singers – most of them musically trained – emerged successful in the competition for choirs „ Austria Cantat“ in Graz in 2006 and were nominated for the renowned EBU -Competition in 2007. Concerts with renowned Austrian orchestras continue to enhance the artistic profile of the ensemble. Such orchestras include the Ensemble Sonare Linz and the Bruckner Orchestra Linz, the Tonkünstler Orchestra Niederösterreich, as well as Barucco, an orchestra playing on original musical instruments. Ad Libitum has published several CDs and can be heard in various broadcasts of the ORF.